A Michelin Star chef at one of Birmingham’s most distinguished restaurants is to decide the winner of Anchor’s Chef of the Year competition. 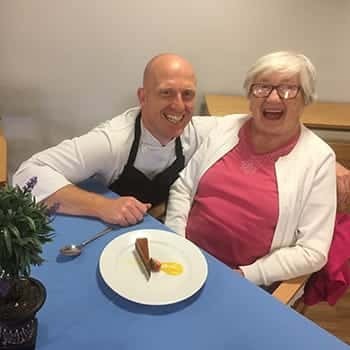 The competition, which is open to all chefs currently working at one of Anchor’s 120 care homes, will involve a special ‘cook-off’ where the short-listed candidates must cook and prepare a two course meal of their choosing, but under strict Master Chef-type conditions. Tom Shepherd, who heads up the kitchen at Adam’s in Birmingham, has only been head chef there since August of last year, but has already seen the restaurant maintain its rare Michelin Star for excellence. Tom said he was looking forward to the experience: ‘This will be the first cooking competition I have ever judged professionally, let alone for chefs specialising in care home catering. I often entertain older people in Adam’s – we had a 100th Birthday party only last week, so I have a good idea of what they appreciate. ‘If I can impart one piece of experience, it is to keep it simple. The older people I know and cater for don’t like food that is too fussy – personally I believe you can’t beat a lovely plate of bangers and mash. Last year's winner was Russell Hesketh from Heyberry House care home in Birkenhead, pictured here. Andy Seal, Service Delivery Consultant for Anchor, the organiser of the competition said the standard of entry was outstanding: ‘I really must pay tribute to all our Chefs who have taken the time to enter this year’s competition. The standard of applicants was much higher this year, and we received almost double the applications. There can only be eight finalists, and the judging panel has completed the tough job of selecting the eight best entries. 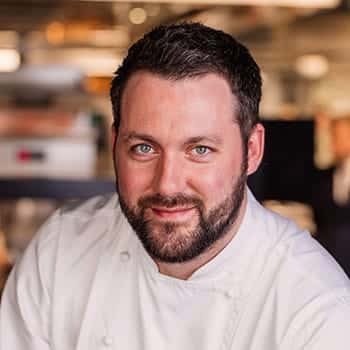 ‘A special thanks to Tom Shepherd who is generously giving up his time to judge the final and I have no doubt our wonderful chefs will each raise their game to impress him with their chosen offering’. The final judging day will be held on Tuesday 4 Sept, in University College, Birmingham.